Look all over the Internet – Quora, Google, and online car market forums – and you’ll find a common question everywhere. “How much does a car salesperson earn per deal?” Answers vary from a set salary to $50 to $1,000 or more per deal. Automotive sales is a volatile market which can be feast or famine. The service department is a much steadier area. In most cases, dealers focus on a service absorption rate of 100 percent. If you’re not sure what that means, it’s simple: at 100 percent, the service department’s monthly earnings cover the whole dealership’s operating expenses. You might be wondering how these two things are related. The answer is that a volatile sales market and service absorption rates are intimately and directly related, and that has a massive impact on how a dealership can do business. A dealership that operates efficiently and has a service department earning near 100 percent service absorption relieves pressure on the sales department. At 100 percent, the store won’t need to sell a single car to earn a profit in any given month. Obviously, the goal is to sell as many vehicles possible, though. 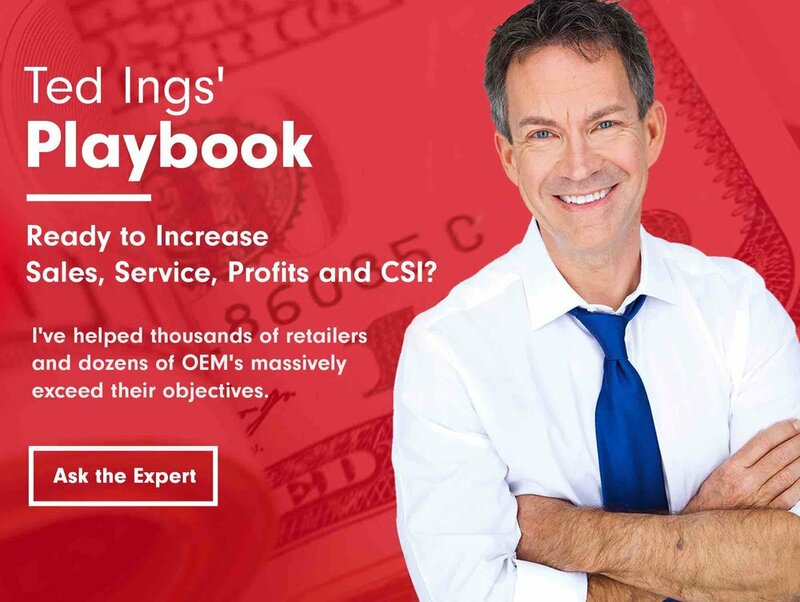 Upswings and downturns in the economy are inevitable, and sales targets often prove nearly or completely impossible to achieve. At the end of every month, sales managers are storming the showroom floor, pressuring salespeople top wrap up as many deals as possible. That pressure is then exerted on the customer. While sales are made, they are at the expense of customer satisfaction scores. Sales targets are a valuable metric to determine a sales department’s effectiveness. But when service absorption rates pay the bills, are sales targets even important? The answer is yes! Sales targets should be in place for individual salespeople as well as the sales department as a whole. Use sales targets as a measuring stick. Just don’t aim for the target at the expense of customer satisfaction.